It’s already summer, how is that possible? I feel like I missed spring, but I guess that is because our winter was so long. What better way to beat the heat than with a little fun science project! 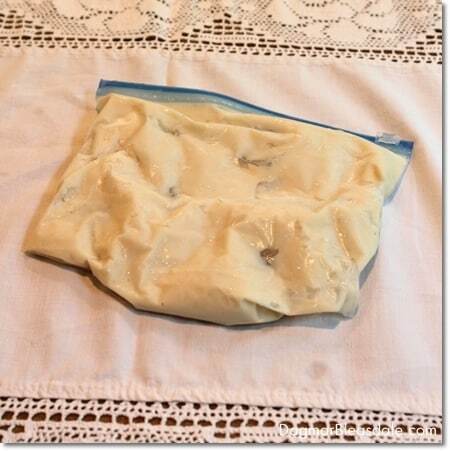 I’ve been wanting to try this with my son for a while now: make homemade ice cream! The kind you make with a couple of bags, some milk, sugar, salt, and ice. 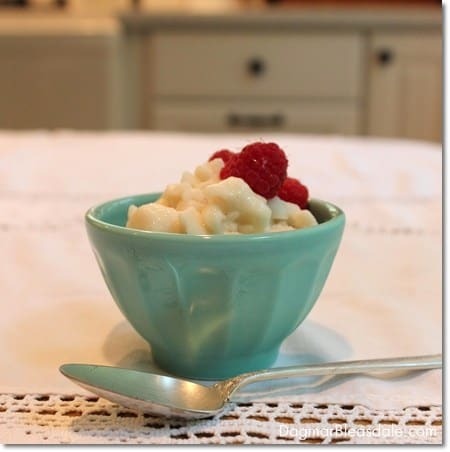 Instead of making this ice cream with heavy cream, I was curious if I could make it with Silk® Original Almond Coconut Blend. It’s much healthier because it’s free of dairy, lactose, gluten, casein, egg, and MSG. Plus it has 50% more calcium than dairy. So we bought the supplies and tried it. 1. 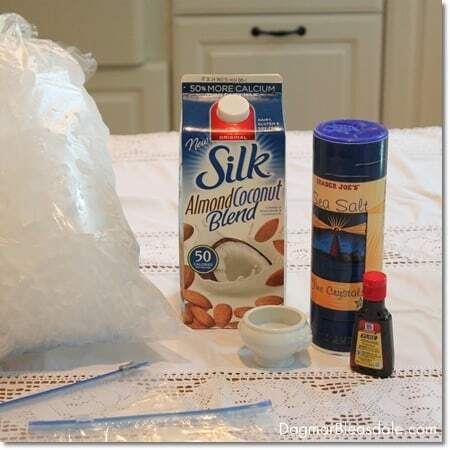 Add the ice and the salt to the gallon bag, close it, mix it, then set aside. 2. Add the milk, sugar, and almond extract to the small bag, close it and mix it. 3. 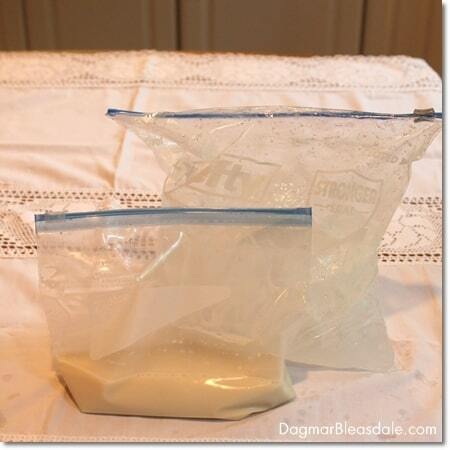 Then put the small bag in the middle of the ice in the large bag, add a little more ice to the top, and close it. 4. Either cover the large bag with a towel or use oven mitts to shake it for 5 minutes. Wonder why you use salt? It lowers the freezing temperature of the ice and freezes the ice cream mixture. After a lot of shaking by Landon and me, we made ice cream in minutes! 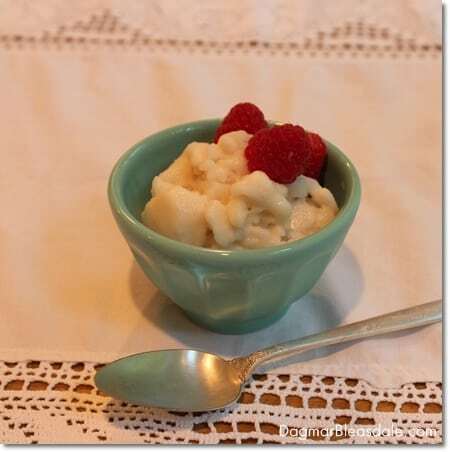 I added raspberries to my almond milk ice cream, and it was so delicious with the hint of almond flavor. This is probably not the most practical way to make ice cream since you can only make a little bit at a time, but it’s a fabulous project to do with your kids on a hot summer day. Plus, by making 5-minute ice cream at home, you get to control the ingredients and make ice cream without additives. Landon doesn’t drink milk, but he asks for seconds of this. 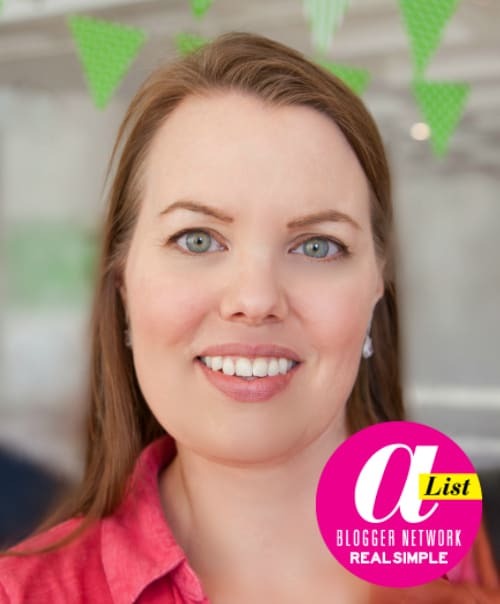 If you or your kids have to avoid dairy, you can still enjoy this almond milk treat! Are you in the mood to make your own almond milk ice cream? If you add other things, like fruit, let me know how it turns out!